... 1956, Karen Christiana Figueres Olsen (left) was born in San José, Costa Rica; her father was President of that country, and her mother eventually would serve as a legislator and ambassador. She earned a bachelor's degree from Swarthmore College and a master's degree from the London School of Economics. 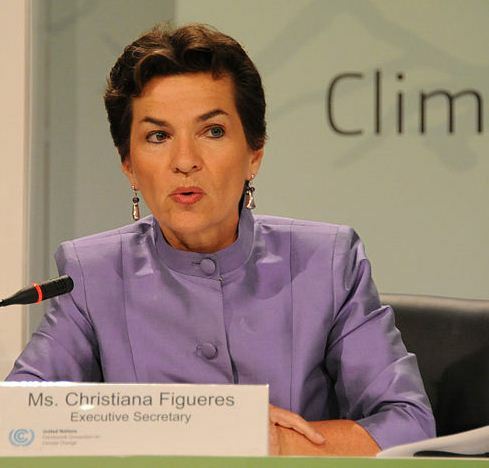 From the 1990s onwards Figueres led different groups involved in developing sustainable development in the Americas, and was active in negotiations related to climate change. On May 17, 2010, U.N. Secretary-General Ban Ki-moon appointed her the Executive Secretary of the U.N. Framework Convention on Climate Change, a post she holds to this day.